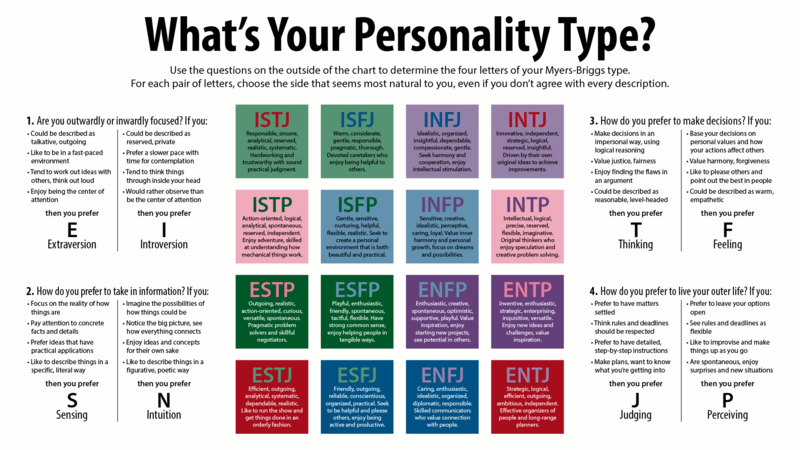 The purpose of the Myers-Briggs Type Indicator (MBTI®) personality inventory is to make the theory of psychological types described by C. G. Jung understandable and useful in people's lives. The essence of the theory is that much seemingly random variation in the behavior is actually quite orderly and consistent, being due to basic differences in the ways individuals prefer to use their perception and judgment. Practically, the MBTI tool classifies an individual's preferences in each of the four dichotomies in Jung's theory. This classifies an individual in one of 16 possible distinctive personality types that result from the interactions among the preferences.